Tucked away at the end of the High Street in Wheatley, with easy access to local shops and ideally placed for the excellent bus service in the village, is this lovely detached home. Recently altered and much improved by the current owners to create a flexible property capable of appealing to a variety of buyers. Currently arranged as a three bed plus a study it could just as easily be a four bedroomed family home with two reception rooms. There is a modern gas central heating system, uPVC double glazing and a ground floor bedroom with an en-suite perfect for those that find stairs difficult. 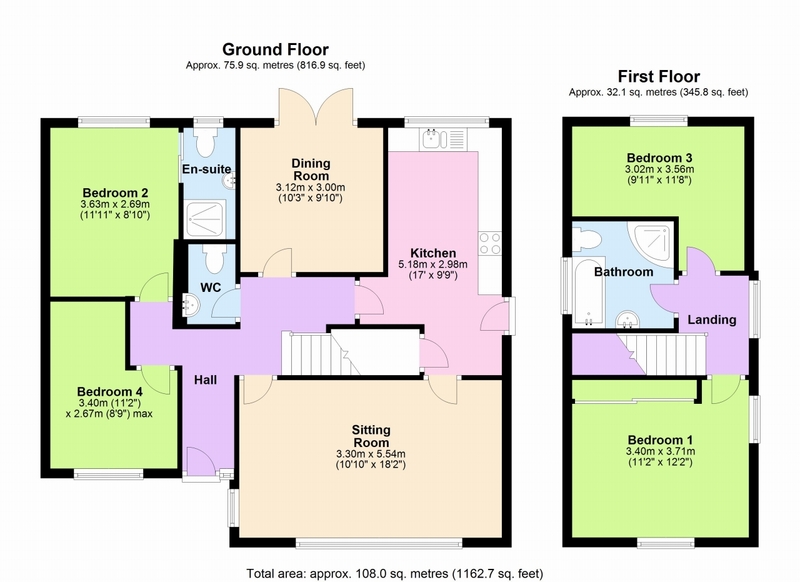 Great as it is or easily altered (subject to permissioin) to have open plan living space too. Why not give us a call to come and view. UPVC double glazed front door and window to front, two double radiators, telephone point, stairs to first floor. Lovely sunny room with large uPVC double glazed windows to front and side, two double radiators, TV aerial point. UPVC double glazed window to rear, fitted kitchen comprising a range of base and eye level units with worktop space over, one and a half bowl stainless steel sink unit with single drainer, built-in dishwasher, space for fridge/freezer, washing machine and tumble dryer, double radiator, vinyl flooring, door to understairs storage cupboard. UPVC double glazed French double doors to garden, double radiator, located right next to the kitchen so would be perfect for 'knocking through' (subject to permissions). Two piece suite comprising pedestal wash hand basin and close coupled WC, radiator. UPVC double glazed window to rear, fitted suite comprising tiled shower cubicle with glass screen, wash hand basin and close coupled WC, heated towel rail, extractor fan. UPVC double glazed window to front, double radiator, perfect for a fourth bedroom or study. UPVC double glazed window to side, doors to first floor rooms. UPVC double glazed windows to front and side, a range of fitted wardrobes. UPVC double glazed window to rear, double radiator. UPVC double glazed window to side, fitted suite comprising panelled bath, pedestal wash hand basin, tiled shower cubicle and close coupled WC, tiled splashbacks, heated towel rail. Driveway providing off-street parking leading to front door, laid mainly to lawn with some mature planting. Lovely space for relaxing or entertaining with paved patio adjacent to house, brick steps lead up to a sunny area of lawn. Mature planting to boundaries.